In the ancient world, buildings and monuments were often constructed using right-angled triangles. 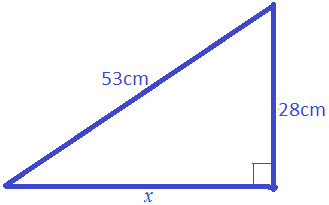 The important rule about right-angled triangles was formulated by the Greeks, called the Theorem of Pythagoras. 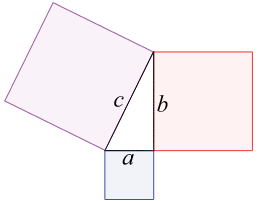 Remember sometimes that the triangle may be tilted, so it’s not always the same place. 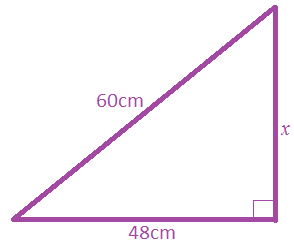 However, it is always opposite, relative to the 90 degree angle. 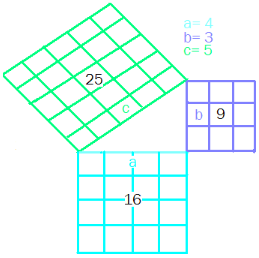 The opposite to square ( ) is root ( ). So the (use a calculator to find out the root). 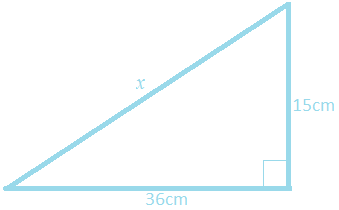 Word questions in Pythagorean, as in other areas of mathematics, are harder.